favor of the defendants—effectively stopping this case dead in its tracks. Blocking alleged pirate sites is usually a question of proving that they’re involved in infringement and then applying to the courts for an injunction. In Europe, the process is becoming easier, largely thanks to an EU ruling that permits blocking on copyright grounds. As reported over the past several years, Russia is taking its blocking processes very seriously. Copyright holders can now have sites blocked in just a few days, if they can show their operators as being unresponsive to takedown demands. This week, however, Russian authorities have again shown that copyright infringement doesn’t have to be the only Achilles’ heel of pirate sites. Back in 2006, online gambling was completely banned in Russia. Three years later in 2009, land-based gambling was also made illegal in all but four specified regions. Then, in 2012, the Russian Supreme Court ruled that ISPs must block access to gambling sites, something they had previously refused to do. That same year, telecoms watchdog Rozcomnadzor began publishing a list of banned domains and within those appeared some of the biggest names in gambling. Many shut down access to customers located in Russia but others did not. 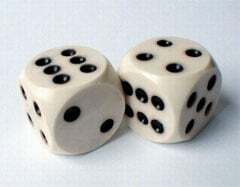 In response, Rozcomnadzor also began targeting sites that simply offered information on gambling. Fast forward more than six years and Russia is still taking a hard line against gambling operators. However, it now finds itself in a position where the existence of gambling material can also assist the state in its quest to take down pirate sites. Following a complaint from the Federal Tax Service of Russia, Rozcomnadzor has again added a large number of ‘pirate’ sites to the country’s official blocklist after they advertised gambling-related products and services. “Rozkomnadzor, at the request of the Federal Tax Service of Russia, added more than 250 pirate online cinemas and torrent trackers to the unified register of banned information, which hosted illegal advertising of online casinos and bookmakers,” the telecoms watchdog reported. Almost immediately, 200 of the sites were blocked by local ISPs since they failed to remove the advertising when told to do so. For the remaining 50 sites, breathing space is still available. Their bans can be suspended if the offending ads are removed within a timeframe specified by the authorities, which has not yet run out. “Information on a significant number of pirate resources with illegal advertising was received by Rozcomnadzor from citizens and organizations through a hotline that operates on the site of the Unified Register of Prohibited Information, all of which were sent to the Federal Tax Service for making decisions on restricting access,” the watchdog revealed. Links between pirate sites and gambling companies have traditionally been close over the years, with advertising for many top-tier brands appearing on portals large and small. However, in recent times the prevalence of gambling ads has diminished, in part due to campaigns conducted in the United States, Europe, and the UK. For pirate site operators in Russia, the decision to carry gambling ads now comes with the added risk of being blocked. Only time will tell whether any reduction in traffic is considered serious enough to warrant a gambling boycott of their own. Twelve years ago this October, a court in Denmark ordered a local ISP to begin blocking unlicensed Russian music site AllofMP3. It was a landmark moment that opened the floodgates. Although most countries took a few years to follow, blocking is now commonplace across Europe and if industry lobbyists have their way, it will soon head to North America. Meanwhile, other regions are getting their efforts underway, with Uruguay the latest country to reserve a place on the list. The news comes via Fox Sports Latin America, which expressed satisfaction this week that a court in the country had handed down an interim injunction against local ISPs which compels them to block access to streaming portal Rojadirecta. Despite a focus on Spanish speaking regions, Rojadirecta is one of the best known and longest-standing unauthorized sports in the world. Offering links to live streams of most spectator sports, Rojadirecta has gained a loyal and international following. This has resulted in a number of lawsuits and legal challenges in multiple regions, the latest being a criminal copyright infringement complaint by Fox Sports Latin America. As usual, the company is annoyed that its content is being made available online without the proper authorization. “This exemplary ruling marks the beginning of judicial awareness on online piracy issues,” said Daniel Steinmetz, Chief Anti-Piracy Officer of Fox Networks Group Latin America. Fox Sports says that with this pioneering action, Uruguay is now at the forefront of the campaign to tackle piracy currently running rampant across South America. According to a NetNames report, there are 222 million Internet users in the region, of which 110 million access pirated content. This translates to 1,377 million TV hours per year but it’s hoped that additional action in other countries will help to stem the rising tide. “We have already presented actions in other countries in the region where we will seek to replicate what we have obtained in Uruguay,” Fox said in a statement. Local reports indicate that Internet providers have not yet taken action to block RojaDirecta but it’s expected they will do so in the near future. Terms including “Kodi box” are now in common usage in the UK and thanks to continuing coverage in the tabloid media, more and more people are learning that free content is just a few clicks away. In parallel, premium IPTV services are also on the up. In basic terms, these provide live TV and sports through an Internet connection in a consumer-friendly way. 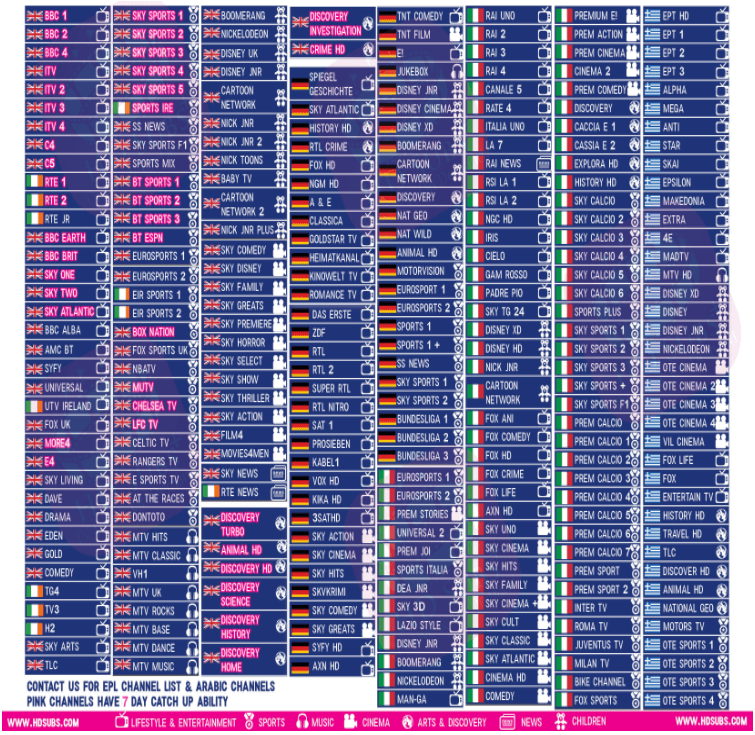 When bundled with beautiful interfaces and fully functional Electronic Program Guides (EPG), they’re almost indistinguishable from services offered by Sky and BTSport, for example. These come at a price, typically up to £10 per month or £20 for a three-month package, but for the customer this represents good value for money. Many providers offer several thousand channels in decent quality and reliability is much better than free streams. This kind of service was offered by prominent UK provider ACE TV but an announcement last December set alarm bells ringing. “It saddens me to announce this, but due to pressure from the authorities in the UK, we are no longer selling new subscriptions. This obviously includes trials,” ACE said in a statement. ACE insisted that it would continue as a going concern, servicing existing customers. However, it did keep its order books open for a while longer, giving people one last chance to subscribe to the service for anything up to a year. And with that ACE continued more quietly in the background, albeit with a disabled Facebook page. But things were not well in ACE land. Like all major IPTV providers delivering services to the UK, ACE was subjected to blocking action by the English Premier League and UEFA. High Court injunctions allow ISPs in the UK to block their pirate streams in real-time, meaning that matches were often rendered inaccessible to ACE’s customers. While this blocking can be mitigated when the customer uses a VPN, most don’t want to go to the trouble. Some IPTV providers have engaged in a game of cat-and-mouse with the blocking efforts, some with an impressive level of success. However, it appears that the nuisance eventually took its toll on ACE. “The ISPs in the UK and across Europe have recently become much more aggressive in blocking our service while football games are in progress,” ACE said in a statement last month. People familiar with the blocking process inform TF that this is unlikely to have worked. 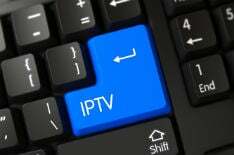 Although nobody outside the EPL’s partners knows exactly how the system works, it appears that anti-piracy companies simply subscribe to IPTV services themselves and extract the IP addresses serving the content. ISPs then block them. No pause would’ve helped the situation. Then, on March 24, another announcement indicated that ACE probably wouldn’t make it very far into 2019. The suggestion was that ACE would keep going, at least for a while, but chat transcripts with the company obtained by TF last month indicated that ACE would probably shut down, sooner rather than later. Less than a week on, that proved to be the case. On or around March 29, ACE began sending emails out to customers, announcing the end of the company. “We recently announced that Ace was no longer accepting renewals or offering new reseller credits but planned to support existing subscription. Due to mounting legal pressure in the UK we have been forced to change our plans and we are now announcing that Ace will close down at the end of March,” the email read. April 1 was yesterday and it turns out it wasn’t a joke. Customers who paid in advance no longer have a service and those who paid a year up front are particularly annoyed. So-called ‘re-sellers’ of ACE are fuming more than most. Re-sellers effectively act as sales agents for IPTV providers, buying access to the service at a reduced rate and making a small profit on each subscriber they sign up. They get a nice web interface to carry out the transactions and it’s something that anyone can do. However, this generally requires investment from the re-seller in order to buy ‘credits’ up front, which are used to sell services to new customers. Those who invested money in this way with ACE are now in trouble. While the loss of a service is probably a shock to more recent converts to the world of IPTV, those with experience of any kind of pirate TV product should already be well aware that this is nothing out of the ordinary. For those who bought hacked or cloned satellite cards in the 1990s, to those who used ‘chipped’ cable boxes a little later on, the free rides all come to an end at some point. It’s just a question of riding the wave when it arrives and paying attention to the next big thing, without investing too much money at the wrong time. For ACE’s former customers, it’s simply a case of looking for a new provider. There are plenty of them, some with zero intent of shutting down. There are rumors that ACE might ‘phoenix’ themselves under another name but that’s also par for the course when people feel they’re owed money and suspicions are riding high. “Please do not ask if we are rebranding/setting up a new service, the answer is no,” ACE said in a statement. Streaming site Kinox has proven hugely problematic for German authorities and international rightsholders for many years. Last year, following a three-year manhunt, one of the site’s alleged operators was detained in Kosovo. Despite this and other actions, the site remains online. Given the profile of the platform and its popularity in Germany, it came as no surprise when Kinox became the guinea pig for site-blocking in the country. Last month following a complaint from local film production and distribution company Constantin Film, a district court in Munich handed down a provisional injunction against Internet provider Vodafone. In common with many similar cases across the EU, the Court cited a 2017 ruling from the European Court of Justice which found that local authorities can indeed order blockades of copyright-infringing sites. The Court ordered Vodafone to prevent its subscribers from accessing the site and shortly after the provider complied, but not willingly it seems. According to local news outlet Golem, last week Vodafone filed an appeal arguing that there is no legal basis in Germany for ordering the blockade. “As an access provider, Vodafone provides only neutral access to the Internet, and we believe that under current law, Vodafone cannot be required to curb copyright infringement on the Internet,” a Vodafone spokesperson told the publication. The ISP says that not only does the blocking injunction impact its business operations and network infrastructure, it also violates the rights of its customers. Vodafone believes that blocking measures can only be put in place with an explicit legal basis and argues that no such basis exists under German law. 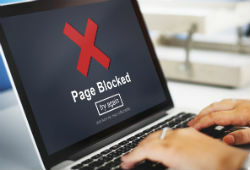 Noting that blockades are easily bypassed by determined users, the ISP says that such measures can also block lots of legal content, making the whole process ineffective. “[I]nternet blocking generally runs the risk of blocking non-infringing content, so we do not see it as an effective way to make accessing illegal offers more difficult,” Vodafone’s spokesperson said. 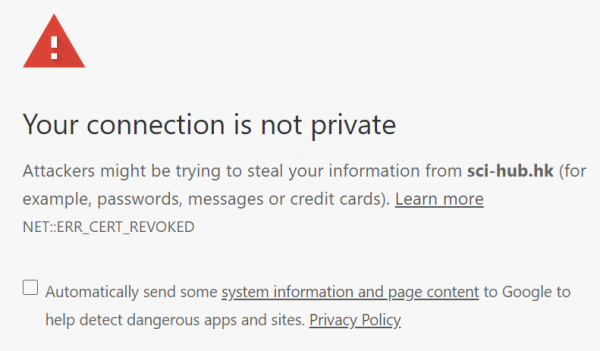 Indeed, it appears that the Kinox blockade is a simple DNS-only effort, which means that people can bypass it by simply changing to an alternative DNS provider such as Google DNS or OpenDNS. Given all of the above, Vodafone is demanding clarification of the earlier decision from a higher court. Whether or not the final decision will go in the ISP’s favor isn’t clear but there is plenty of case law at the European level that suggests the balance of probabilities lies with Constantin Film. When asked to balance consumer rights versus copyrights, courts have tended to side with the latter in recent years. On June 2, 2017 a group of Canadian telecoms giants including Bell Canada, Bell ExpressVu, Bell Media, Videotron, Groupe TVA, Rogers Communications and Rogers Media, filed a complaint in Federal Court against Montreal resident, Adam Lackman. Better known as the man behind Kodi addon repository TVAddons, Lackman was painted as a serial infringer in the complaint. The telecoms companies said that, without gaining permission from rightsholders, Lackman communicated copyrighted TV shows including Game of Thrones, Prison Break, The Big Bang Theory, America’s Got Talent, Keeping Up With The Kardashians and dozens more, by developing, hosting, distributing and promoting infringing Kodi add-ons. To limit the harm allegedly caused by TVAddons, the complaint demanded interim, interlocutory, and permanent injunctions restraining Lackman from developing, promoting or distributing any of the allegedly infringing add-ons or software. On top, the plaintiffs requested punitive and exemplary damages, plus costs. On June 9, 2017 the Federal Court handed down a time-limited interim injunction against Lackman ex parte, without Lackman being able to mount a defense. Bailiffs took control of TVAddons’ domains but the most controversial move was the granting of an Anton Piller order, a civil search warrant which granted the plaintiffs no-notice permission to enter Lackman’s premises to secure evidence before it could be tampered with. The order was executed June 12, 2017, with Lackman’s home subjected to a lengthy search during which the Canadian was reportedly refused his right to remain silent. Non-cooperation with an Anton Piller order can amount to a contempt of court, he was told. With the situation seemingly spinning out of Lackman’s control, unexpected support came from the Honourable B. Richard Bell during a subsequent June 29, 2017 Federal Court hearing to consider the execution of the Anton Piller order. The Judge said that Lackman had been subjected to a search “without any of the protections normally afforded to litigants in such circumstances” and took exception to the fact that the plaintiffs had ordered Lackman to spill the beans on other individuals in the Kodi addon community. He described this as a hunt for further evidence, not the task of preserving evidence it should’ve been. Justice Bell concluded by ruling that while the prima facie case against Lackman may have appeared strong before the judge who heard the matter ex parte, the subsequent adversarial hearing undermined it, to the point that it no longer met the threshold. As a result of these failings, Judge Bell vacated the Anton Piller order and dismissed the application for interlocutory injunction. While this was an early victory for Lackman and TVAddons, the plaintiffs took the decision to an appeal which was heard November 29, 2017. Determined by a three-judge panel and signed by Justice Yves de Montigny, the decision was handed down Tuesday and it effectively turns the earlier ruling upside down. The appeal had two matters to consider: whether Justice Bell made errors when he vacated the Anton Piller order, and whether he made errors when he dismissed the application for an interlocutory injunction. In short, the panel found that he did. In a 27-page ruling, the first key issue concerns Justice Bell’s understanding of the nature of both Lackman and TVAddons. The telecoms companies complained that the Judge got it wrong when he characterized Lackman as a software developer who came up with add-ons that permit users to access material “that is for the most part not infringing on the rights” of the telecoms companies. The companies also challenged the Judge’s finding that the infringing add-ons offered by the site represented “just over 1%” of all the add-ons developed by Lackman. “I agree with the [telecoms companies] that the Judge misapprehended the evidence and made palpable and overriding errors in his assessment of the strength of the appellants’ case,” Justice Yves de Montigny writes in the ruling. The confusion appears to have arisen from the fact that while TVAddons offered 1,500 add-ons in total, the heavily discussed ‘featured’ addon category on the site contained just 22 add-ons, 16 of which were considered to be infringing according to the original complaint. So, it was 16 add-ons out of 22 being discussed, not 16 add-ons out of a possible 1,500. “[Justice Bell] therefore clearly misapprehended the evidence in this regard by concluding that just over 1% of the add-ons were purportedly infringing,” the appeals Judge adds. After gaining traction with Justice Bell in the previous hearing, Lackman’s assertion that his add-ons were akin to a “mini Google” was fiercely contested by the telecoms companies. They also fell flat before the appeal hearing. Justice de Montigny says that Justice Bell “had been swayed” when Lackman’s expert replicated the discovery of infringing content using Google but had failed to grasp the important differences between a general search engine and a dedicated Kodi add-on. “While Google is an indiscriminate search engine that returns results based on relevance, as determined by an algorithm, infringing add-ons target predetermined infringing content in a manner that is user-friendly and reliable,” the Judge writes. With this in mind, Justice de Montigny says there is a “strong prima facie case” that Lackman, by hosting and distributing infringing add-ons, made the telecoms companies’ content available to the public “at a time of their choosing”, thereby infringing paragraph 2.4(1.1) and section 27 of the Copyright Act. Turning to Lackman, the Judge said he could not claim to have no knowledge of the infringing content delivered by the add-ons distributed on this site, since they were purposefully curated prior to distribution. “The respondent cannot credibly assert that his participation is content neutral and that he was not negligent in failing to investigate, since at a minimum he selects and organizes the add-ons that find their way onto his website,” the Judge notes. In a further setback, the Judge draws clear parallels with another case before the Canadian courts involving pre-loaded ‘pirate’ set-top boxes. Justice de Montigny says that TVAddons itself bears “many similarities” with those devices that are already subjected to an interlocutory injunction in Canada. “The service offered by the respondent through the TVAddons website is no different from the service offered through the set-top boxes. The means through which access is provided to infringing content is different (one relied on hardware while the other relied on a website), but they both provided unauthorized access to copyrighted material without authorization of the copyright owners,” the Judge finds. Continuing, the Judge makes some pointed remarks concerning the execution of the Anton Piller order. In short, he found little wrong with the way things went ahead and also contradicted some of the claims and beliefs circulated in the earlier hearing. Citing the affidavit of an independent solicitor who monitored the order’s execution, the Judge said that the order was explained to Lackman in plain language and he was informed of his right to remain silent. He was also told that he could refuse to answer questions other than those specified in the order. The Judge said that Lackman was allowed to have counsel present, “with whom he consulted throughout the execution of the order.” There was nothing, the Judge said, that amounted to the “interrogation” alluded to in the earlier hearing. Much was previously made of Lackman apparently being forced to hand over personal details of third-parties associated directly or indirectly with TVAddons. The Judge clarifies what happened in his ruling. “A list of names was put to the respondent by the plaintiffs’ solicitors, but it was apparently done to expedite the questioning process. In any event, the respondent did not provide material information on the majority of the aliases put to him,” the Judge reveals. But while not handing over evidence on third-parties will paint Lackman in a better light with concerned elements of the add-on community, the Judge was quick to bring up the Canadian’s history and criticized Justice Bell for not taking it into account when he vacated the Anton Piller order. “[T]he respondent admitted that he was involved in piracy of satellite television signals when he was younger, and there is evidence that he was involved in the configuration and sale of ‘jailbroken’ Apple TV set-top boxes,” Justice de Montigny writes. Dismissing Justice Bell’s findings as “fatally flawed”, Justice de Montigny allowed the appeal of the telecoms companies, set aside the order of June 29, 2017, declared the Anton Piller order and interim injunctions legal, and granted an interlocutory injunction to remain valid until the conclusion of the case in Federal Court. The telecoms companies were also awarded costs of CAD$50,000. It’s worth noting that despite all the detail provided up to now, the case hasn’t yet got to the stage where the Court has tested any of the claims put forward by the telecoms companies. Everything reported to date is pre-trial and has been taken at face value. TorrentFreak spoke with Adam Lackman but since he hadn’t yet had the opportunity to discuss the matter with his lawyers, he declined to comment further on the record. There is a statement on the TVAddons website which gives his position on the story so far. Determined to reduce levels of piracy globally, Hollywood has become one of the main proponents of site-blocking on the planet. To date there have been multiple lawsuits in far-flung jurisdictions, with Europe one of the primary targets. Following complaints from Disney, 20th Century Fox, Paramount, Sony, Universal and Warner, Spain has become one of the latest targets. According to the studios a pair of sites – HDFull.tv and Repelis.tv – infringe their copyrights on a grand scale and need to be slowed down by preventing users from accessing them. HDFull is a platform that provides movies and TV shows in both Spanish and English. Almost 60% its traffic comes from Spain and after a huge surge in visitors last July, it’s now the 337th most popular site in the country according to Alexa. Visitors from Mexico, Argentina, United States and Chile make up the rest of its audience. Repelis.tv is a similar streaming portal specializing in movies, mainly in Spanish. A third of the site’s visitors hail from Mexico with the remainder coming from Argentina, Columbia, Spain and Chile. In common with HDFull, Repelis has been building its visitor numbers quickly since 2017. With a ruling in hand from the European Court of Justice which determined that sites can be blocked on copyright infringement grounds, the studios asked the courts to issue an injunction against several local ISPs including Telefónica, Vodafone, Orange and Xfera. In an order handed down this week, Barcelona Commercial Court No. 6 sided with the studios and ordered the ISPs to begin blocking the sites. “They damage the legitimate rights of those who own the films and series, which these pages illegally display and with which they profit illegally through the advertising revenues they generate,” a statement from the Spanish Federation of Cinematographic Distributors (FEDECINE) reads. FEDECINE General director Estela Artacho said that changes in local law have helped to provide the studios with a new way to protect audiovisual content released in Spain. “Thanks to the latest reform of the Civil Procedure Law, we have in this jurisdiction a new way to exercise different possibilities to protect our commercial film offering,” Artacho said. 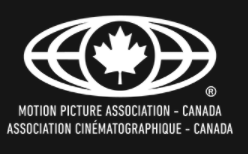 The development was also welcomed by Stan McCoy, president of the Motion Picture Association’s EMEA division, which represents the plaintiffs in the case. “We have just taken a welcome step which we consider crucial to face the problem of piracy in Spain,” McCoy said. After gaining experience from blockades and subsequent circumvention in other regions, the studios seem better prepared to tackle fallout in Spain. In addition to blocking primary domains, the ruling handed down by the court this week also obliges ISPs to block any other domain, subdomain or IP address whose purpose is to facilitate access to the blocked platforms. News of Spain’s ‘pirate’ blocks come on the heels of fresh developments in Germany, where this week a court ordered ISP Vodafone to block KinoX, one of the country’s most popular streaming portals. Following intense pressure from entertainment industry groups, in 2014 Australia began developing legislation which would allow ‘pirate’ sites to be blocked at the ISP level. In March 2015 the Copyright Amendment (Online Infringement) Bill 2015 (pdf) was introduced to parliament and after just three months of consideration, the Australian Senate passed the legislation into law. Soon after, copyright holders began preparing their first cases and in December 2016, the Australian Federal Court ordered dozens of local Internet service providers to block The Pirate Bay, Torrentz, TorrentHound, IsoHunt, SolarMovie, plus many proxy and mirror services. Since then, more processes have been launched establishing site-blocking as a permanent fixture on the Aussie anti-piracy agenda. But with yet more applications for injunction looming on the horizon, how is the mechanism performing and does anything else need to be done to improve or amend it? Those are the questions now being asked by the responsible department of the Australian Government via a consultation titled Review of Copyright Online Infringement Amendment. The review should’ve been carried out 18 months after the law’s introduction in 2015 but the department says that it delayed the consultation to let more evidence emerge. “The Department of Communications and the Arts is seeking views from stakeholders on the questions put forward in this paper. The Department welcomes single, consolidated submissions from organizations or parties, capturing all views on the Copyright Amendment (Online Infringement) Act 2015 (Online Infringement Amendment),” the consultation paper begins. – How effective and efficient is the mechanism introduced by the Online Infringement Amendment? – Is the application process working well for parties and are injunctions operating well, once granted? – Are any amendments required to improve the operation of the Online Infringement Amendment? Given the tendency for copyright holders to continuously demand more bang for their buck, it will perhaps come as a surprise that at least for now there is a level of consensus that the system is working as planned. “Case law and survey data suggests the Online Infringement Amendment has enabled copyright owners to work with [Internet service providers] to reduce large-scale online copyright infringement. So far, it appears that copyright owners and [ISPs] find the current arrangement acceptable, clear and effective,” the paper reads. Thus far under the legislation there have been four applications for injunctions through the Federal Court, notably against leading torrent indexes and browser-based streaming sites, which were both granted. The other two processes, which began separately but will be heard together, at least in part, involve the recent trend of set-top box based streaming. Village Roadshow, Disney, Universal, Warner Bros, Twentieth Century Fox, and Paramount are currently presenting their case to the Federal Court. Along with Hong Kong-based broadcaster Television Broadcasts Limited (TVB), which has a separate application, the companies have been told to put together quality evidence for an April 2018 hearing. With these applications already in the pipeline, yet more are on the horizon. The paper notes that more applications are expected to reach the Federal Court shortly, with the Department of Communications monitoring to assess whether current arrangements are refined as additional applications are filed. Thus far, however, steady progress appears to have been made. The paper cites various precedents established as a result of the blocking process including the use of landing pages to inform Internet users why sites are blocked and who is paying. “Either a copyright owner or [ISP] can establish a landing page. If an [ISP] wishes to avoid the cost of its own landing page, it can redirect customers to one that the copyright owner would provide. Another precedent allocates responsibility for compliance costs. Cases to date have required copyright owners to pay all or a significant proportion of compliance costs,” the paper notes. But perhaps the issue of most importance is whether site-blocking as a whole has had any effect on the levels of copyright infringement in Australia. The Government says that research carried out by Kantar shows that downloading “fell slightly from 2015 to 2017” with a 5-10% decrease in individuals consuming unlicensed content across movies, music and television. It’s worth noting, however, that Netflix didn’t arrive on Australian shores until May 2015, just a month before the new legislation was passed. Research commissioned by the Department of Communications and published a year later in 2016 (pdf) found that improved availability of legal streaming alternatives was the main contributor to falling infringement rates. In a juicy twist, the report also revealed that Aussie pirates were the entertainment industries’ best customers. “The Department is aware that other factors — such as the increasing availability of television, music and film streaming services and of subscription gaming services — may also contribute to falling levels of copyright infringement,” the paper notes. Submissions to the consultation (pdf) are invited by 5.00 pm AEST on Friday 16 March 2018 via the government’s website. 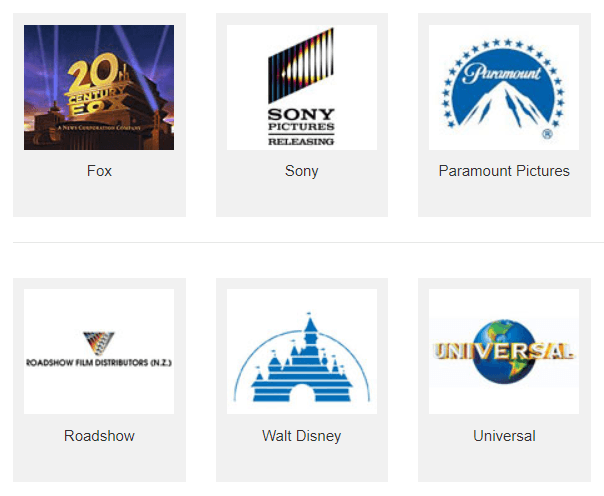 After cutting their teeth on blocking injunctions against torrent and regular streaming sites, last November it was revealed that Australian movie outfit Village Roadshow and a coalition of movie studios (Disney, Universal, Warner Bros, Twentieth Century Fox, and Paramount) had switched to a new threat. Their action targeted HDSubs+, a fairly well-known IPTV service that provides hundreds of otherwise premium live channels, movies, and sports for a relatively small monthly fee. 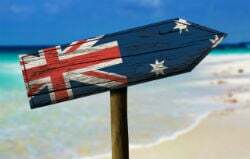 The application for injunction was filed October 2017 and in common with earlier requests, it targets Australia’s largest ISPs. Telstra, Optus, TPG, and Vocus, plus their subsidiaries, were asked to prevent the ‘pirate’ service being accessed by their customers. In December, a parallel action was revealed, this time by Hong Kong-based broadcaster Television Broadcasts Limited (TVB). The company is also demanding that local ISPs block Android-based ‘pirate’ IPTV services, named in court as the A1, BlueTV, EVPAD, FunTV, MoonBox, Unblock, and hTV5. During a case management hearing in Federal Court today, Justice Nicholas told Roadshow Films that its application would be pushed back from March to mid-April so that it can be hard alongside the application made by TVB. The relative complexity of the cases appears to have played a role. While blocking demands for these kinds of services may seem similar to those targeted at torrent sites, the situation is more complex, and the Judge clearly wants to have a good grip on the matter. “I will need to be satisfied by evidence so that I have a good understanding of how it works, I know what the precise relationship is between this box, the apps, and the site from which [content is] downloaded,” the Judge told lawyers appearing for Roadshow and TVB. One of the issues revolves around the structure of these IPTV services. A number of URLs are required to maintain them, each with a specific role. A total of 21 URLs were listed in the TVB case and at least another ten for the single service listed in the Roadshow application. The URLs are used for various aspects of the service including the provision of an EPG (electronic program guide), the software itself (such as an Android app), subsequent updates, and sundry other services. The Judge warned the companies that he will need to be able to understand them all and if he does not, then blocking injunctions may not even be granted. “I don’t want the evidence in any respect to be scant on those issues; otherwise, you might find the orders won’t be made,” he told them. Only complicating matters is that the HDSubs+ service isn’t static. In what appeared to be a response to being named in legal action, last year the service appeared to be undergoing some kind of transformation, directing subscribers to update to a new software version (PressPlayPlus) that works in a more evasive manner. As reported by ZDNet, counsel for Roadshow and TVB argued that “the changing nature of this system” means that HDSubs+ has diverted users to various different apps over the past several months. “[In late December] the HDSubs+ app updated to send users to a different app … in early January we noticed that the system reverted back to the HDSubs+ app,” counsel explained. Roadshow added that since its filing for an injunction, HDSubs+ operators had also removed access to films and TV shows listed in Roadshow’s application. This was grounds for the application to be heard more quickly, the company said. In order to obtain an injunction, the companies will have to convince the Judge that each URL (or “online location”) either infringes or facilitates the infringement of their copyrighted content. They will also have to show that the primary purpose of such “online locations” is to infringe or facilitate the infringement of their copyrights. While apps and direct streams shouldn’t pose the court with too many difficulties, EPGs – which simply provide metadata – may be more difficult to classify. The hearings for both the Roadshow and the TVB applications will now go ahead on April 13, 2018. The Motion Picture Distributors’ Association (MPDA) is a non-profit organisation which represents major international film studios in New Zealand. 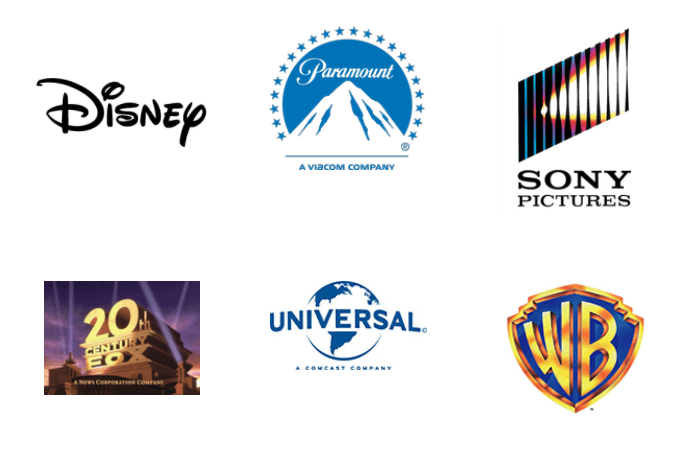 With companies including Fox, Sony, Paramount, Roadshow, Disney, and Universal on the books, the MPDA sings from the same sheet as the MPAA and MPA. It also hopes to achieve in New Zealand what its counterparts have achieved in Europe and Australia but cannot on home soil – mass pirate site blocking. In a release heralding the New Zealand screen industry’s annual contribution of around NZ$1.05 billion to GDP and NZ$706 million to exports, MPDA Managing Director Matthew Cheetham says that despite the successes, serious challenges lie ahead. “When we have the illegal file sharing site the Pirate Bay as New Zealand’s 19th most popular site in New Zealand, it is clear that legitimate movie and TV distribution channels face challenges,” Cheetham says. In common with movie bosses in many regions, Cheetham is hoping that the legal system will rise to the challenge and assist distributors to tackle the piracy problem. In New Zealand, that might yet require a change in the law but given recent changes in Australia, that doesn’t seem like a distant proposition. Last December, the New Zealand government announced an overhaul of the country’s copyright laws. A review of the Copyright Act 1994 was announced by the previous government and is now scheduled to go ahead this year. The government has already indicated a willingness to consider amendments to the Act in order to meet the objectives of New Zealand’s copyright regime. “In New Zealand, piracy is almost an accepted thing, because no one’s really doing anything about it, because no one actually can do anything about it,” Cheetham said last month. It’s quite unusual for Hollywood’s representatives to say nothing can be done about piracy. However, there was a small ray of hope this morning when Cheetham said that there is actually one option left. “There’s nothing we can do in New Zealand apart from site blocking,” Cheetham said. So, as the MPDA appears to pin its hopes on legislative change, other players in the entertainment industry are testing the legal system as it stands today. Last September, Sky TV began a pioneering ‘pirate’ site-blocking challenge in the New Zealand High Court, applying for an injunction against several local ISPs to prevent their subscribers from accessing several pirate sites. The boss of Vocus, one of the ISP groups targeted, responded angrily, describing Sky’s efforts as “dinosaur behavior” and something one would expect in North Korea, not in New Zealand. “It isn’t our job to police the Internet and it sure as hell isn’t SKY’s either, all sites should be equal and open,” General Manager Taryn Hamilton said. The response from ISPs suggests that even when the matter of site-blocking is discussed as part of the Copyright Act review, introducing specific legislation may not be smooth sailing. In that respect, all eyes will turn to the Sky process, to see if some precedent can be set there. Finally, another familiar problem continues to raise its head down under. So-called “Kodi boxes” – the now generic phrase often used to describe set-top devices configured for piracy – are also on the content industries’ radar. There are a couple of cases still pending against sellers, including one in which a budding entrepreneur sent out marketing letters claiming that his service was better than Sky’s offering. For seller Krish Reddy, this didn’t turn out well as the company responded with a NZ$1m lawsuit. Generally, however, both content industries and consumers are having a good time in New Zealand but the MPDA’s Cheetham says that taking on pirates is never easy. “It’s been called the golden age of television and a lot of premium movies have been released in the last 12 or 18 months. Content providers and distributors have really upped their game in the last five or 10 years to meet what people want but it’s very difficult to compete with free,” Cheetham concludes. In broad terms, there are two types of unauthorized online streaming of live TV. The first is via open-access websites where users can view for free. The second features premium services to which viewers are required to subscribe. Usually available for a few dollars, euros, or pounds per month, the latter are gaining traction all around the world. Service levels are relatively high and the majority of illicit packages offer a dazzling array of programming, often putting official providers in the shade. For this reason, commercial IPTV providers are considered a huge threat to broadcasters’ business models, since they offer a broadly comparable and accessible service at a much cheaper price. This is forcing companies such as US giant Dish Networks to court, seeking relief. Following on from a lawsuit filed last year against Kodi add-on ZemTV and TVAddons.ag, Dish has just filed two more lawsuits targeting a pair of unauthorized pirate IPTV services. Filed in Maryland and Texas respectively, the actions are broadly similar, with the former targeting a provider known as Spider-TV. Dish claim that the defendants profit from the scheme by selling set-top boxes along with subscriptions, charging around $199 per device loaded with 13 months of service. Dima Furniture is a Maryland corporation, registered at Takoma Park, Maryland 20912, an address that is listed on the Spider-TV website. The connection between the defendants is further supported by FCC references which identify Spider devices in the market. Mohammad Yusif is claimed to be the president, executive director, general manager, and sole shareholder of Dima Furniture. Dish describes itself as the fourth largest pay-television provider in the United States, delivering copyrighted programming to millions of subscribers nationwide by means of satellite delivery and over-the-top services. Dish has acquired the rights to do this, the defendants have not, the broadcaster states. OTT delivery, including users in the United States,” the lawsuit reads. 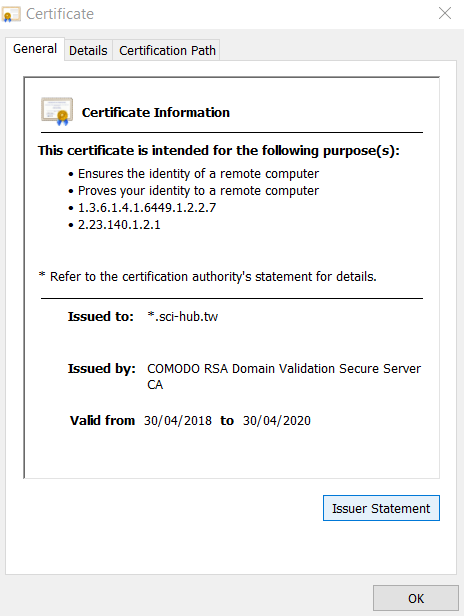 It’s claimed that in July 2015, Yusif registered Spider-TV as a trade name of Dima Furniture with the Department of Assessments and Taxation Charter Division, describing the business as “Television Channel Installation”. Since then, the defendants have been illegally retransmitting Dish channels to customers in the United States. The overall offer from Spider-TV appears to be considerable, with a claimed 1,300 channels from major regions including the US, Canada, UK, Europe, Middle East, and Africa. Importantly, Dish state that the defendants know that their activities are illegal, since the provider sent at least 32 infringement notices since January 20, 2017 demanding an end to the unauthorized retransmission of its channels. It went on to send even more to the defendants’ ISPs. removal of infringing content to Internet service providers associated with the Service from February 16, 2017 to the filing of this Complaint. Upon information and belief, at least some of these notices were forwarded to Defendants,” the lawsuit reads. But while Dish says that the takedowns responded to by the ISPs were initially successful, the defendants took evasive action by transmitting the targeted channels from other locations. Describing the defendants’ actions as “willful, malicious, intentional [and] purposeful”, Dish is suing for Direct Copyright Infringement, demanding a permanent injunction preventing the promotion and provision of the service plus statutory damages of $150,000 per registered work. The final amount isn’t specified but the numbers are potentially enormous. In addition, Dish demands attorneys’ fees, costs, and the seizure of all infringing articles. Zayed Trading Est., and Mo’ Ayad Fawzi Al Zayed (individually and collectively doing business as Tiger International Company), and Shenzhen Tiger Star Electronical Co., Ltd, otherwise known as Shenzhen Tiger Star. Dish claims that these defendants also illegally capture and retransmit channels to customers in the United States. IPTV boxes costing up to $179 including one year’s service are the method of delivery. In common with the Maryland case, Dish says it sent almost two dozen takedown notices to ISPs utilized by the defendants. These were also countered by the unauthorized service retransmitting Dish channels from other servers. The biggest difference between the Maryland and Texas cases is that while Yusif/Spider/Dima Furniture are said to be in the US, Zayed is said to reside in Amman, Jordan, and Tiger Star is registered in Shenzhen, China. However, since the unauthorized service is targeted at customers in Texas, Dish states that the Texas court has jurisdiction. Again, Dish is suing for Direct Infringement, demanding damages, costs, and a permanent injunction. The complaints can be found here and here.